I've been revamping my makeup and hair collection a lot recently. So please bare with me as to why I haven't done any beauty or d-i-y tutorials in forever. But in the meanwhile, you can benefit from my purchases with REVIEWS!!! Just think of me as your personal guinea pig. So let me tell you about this new product from L'Oreal. I know...L'Oreal for African American natural hair? Yes! Although technically the product I will be reviewing is for colored hair. They do have one for curly hair along with another for dry/damaged hair. It's the EverPure Cleansing Balm. 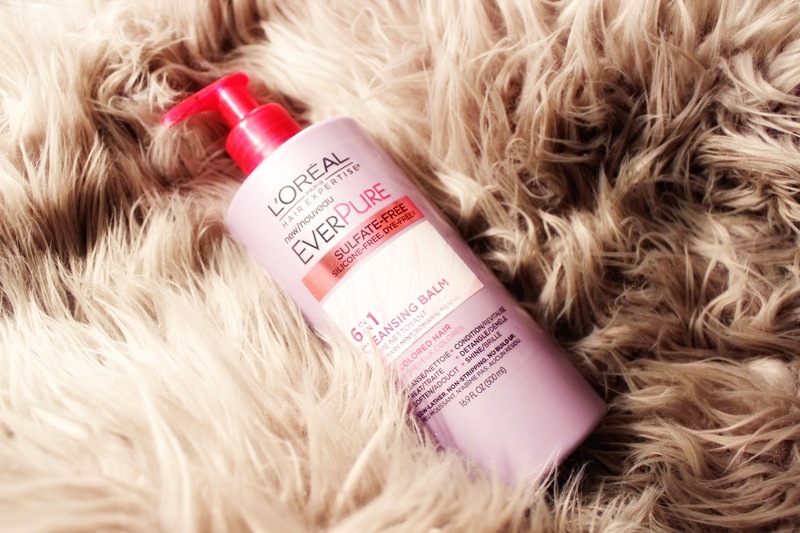 Now L'Oreal has a co-wash friendly product line for different hair types and problems. First off, this product is great. I have naturally thick,curly, and dry hair. With that said, I also have a burgundy permanent dye in that just won't budge. So I'm embracing it! I love co-washes as it's great for dry hair. This balm saturates my hair so well that detangling my curls are a breeze! Also, my burgundy curls have been glistening in the sunlight. Second, it has a PUMP!!! Which is perfect for the shower. No more squeezing the bottle and it slips out of your hand. No more scooping then dropping the open tub on the bathtub floor. Just pump and done! Third, it's sulfate and silicone free. Fourth, my hair feels and smells ahhhhhmazing. I would definitely recommend this cleansing balm. You can find the EverPure Cleansing Balms at your local drugstores, Ulta, and Amazon. Currently in on ulta and was googling reviews on this. Thanks! Will you be trying the other 2 ?